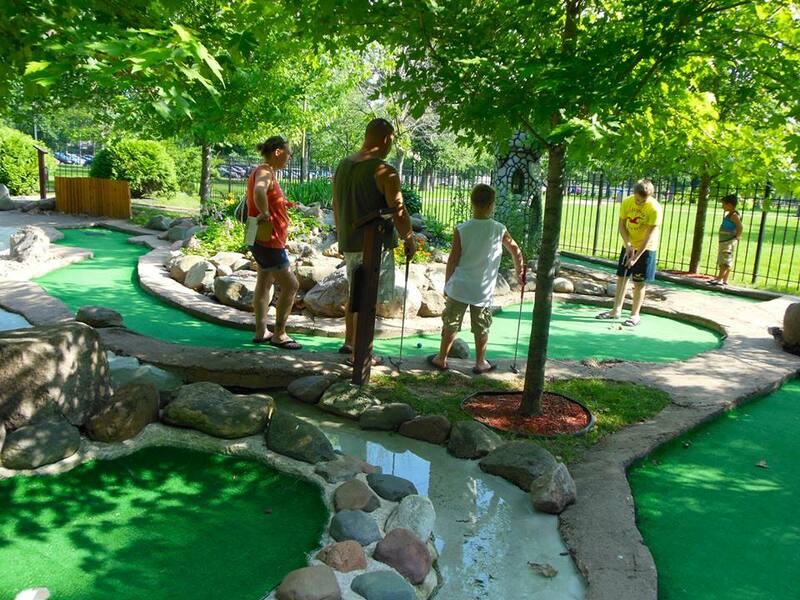 Adventure awaits on our Twin Cities miniature golf course. It's so much fun you just might have to go for round two! Como Park Mini Golf by Wheel Fun Rentals has several unique features on its 18 holes. Features and obstacles bring challenging fun, including our gravity-defying Vortex loop, the unpredictable Plinko bridge, and so much more! Shady trees, flower gardens, fountains and other décor set the mood for great fun outdoors. Will you be the one to score a hole in one? This fun outdoor activity is great for all ages and occasions, especially for kids birthday parties, field trips, church event, or sports team party.